History is presented in lucid, lurid passages in The Magdalene Malediction, a novel focused on an extraordinary woman who inspires devotion. Last in the medieval Ordeal by Fire trilogy, The Magdalene Malediction returns to the idea that Jesus and Mary of Magdalene had children. In thirteenth-century France, their descendant, Miranda, faces the perils of traveling as a Christian who opposes the Crusades. From this explosive premise, F. Scott Kimmich crafts a complicated tragedy that upholds loyalty amid savagery. Miranda, escorted by Odon and Rainier with Robin Hood II—a fanciful inclusion who adds color even as he seems out of place—sets out by sea for Provença in hopes of finding guidance from her aunt and uncle. Once the traveling party is stopped by Moorish pirates, the multi-act plot shifts to political maneuvers featuring King Jacme I of Aragon among others. It then returns to Miranda and her cohorts—now guests of Al Azraq, a wazir in Spain. The book finds its center late in this shifting plot. Sections portray the group making their way back as King Jacme and Al Azraq’s paths converge. Interludes detail negotiations, alliances, and scenes with Pope Innocent IV and King Louis IX of France’s mother, Queen Blanche. These add intrigue to the tale. Against a dark background, Miranda and her friends’ steadfast belief in each other stands out. The existence of scrolls that reveal Miranda’s heritage becomes incidental. King Jacme’s exploits are the focus, bringing the violence of the era home. The fallout from his actions takes the novel in less certain directions. From revenge rooted in chivalry and justice to reconnaissance, there’s ample drama, all of which winds toward an epilogue that offers little respite, even if it stays true to the trilogy’s title. History is presented in lucid, lurid passages. Meticulous details of era weaponry, the fate of heretics, geography, and dynastic trees abound. Secondary characters are distant figures in a panoramic struggle. That Miranda is beautiful fits within the mythology of the Magdalene, and that she faces punishing experiences that are loosely attributed to a curse seems less fated than a cruel reality of moving through territories that are marked by conflict. She’s no victim, though; her skills and decisive timing put her on par with her guardians. 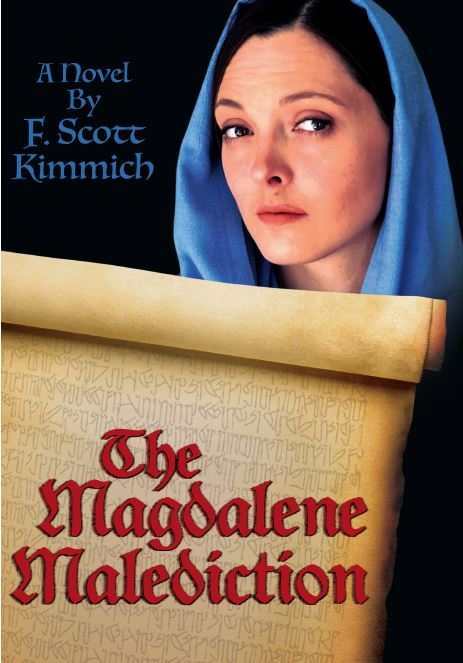 The Magdalene Malediction is a historical tragedy focused on an extraordinary woman who inspires devotion.